LEEDS United season ticket holder Will Hatfield is relishing the prospect of facing his former club with Accrington Stanley tonight. Liversedge-born Hatfield, 22, spent 12 years with United after first joining the club’s youth set up as an eight-year-old. The midfielder was eventually released as a 19-year-old but is now preparing to come face to face with the club he grew up with and still supports. 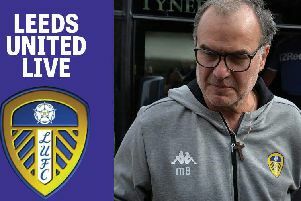 Hatfield, who still lives in Yorkshire, looks set to return from a hip injury tonight and admitted: “Leeds United has been a massive part of my career. I had been there since I was eight years old, all the way through to when I was 19, nearly 20, so it was a good 12 years. I really enjoyed my time there and I’m also a fan and I’m a season ticket holder as well! It’s going to be a great occasion and one I’m really looking forward to. Getting off that bus and going into the away changing room is going to be a strange feeling but it’s going to be good to see a few old faces, what’s left anyway.